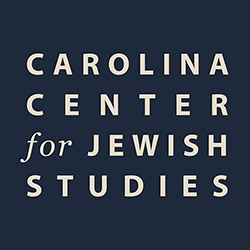 In this course, we will explore the diversity of Jewish sound, including traditional/classical/folk/popular musics and sacred liturgical practices from a variety of contexts (Africa, Europe, the Middle East, South Asia, and others) . In addition to learning about this breadth of sound associated with Jews around the globe, we will also investigate the relation between sound and race, looking at uses of sound for both nationalist/Zionist discourse and anti-Semitic rhetoric. 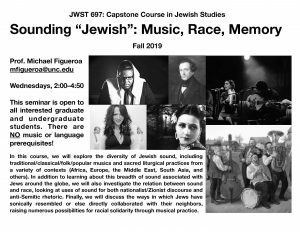 Finally, we will discuss the ways in which Jews have sonically resembled or else directly collaborated with their neighbors, raising numerous possibilities for racial solidarity through musical practice.